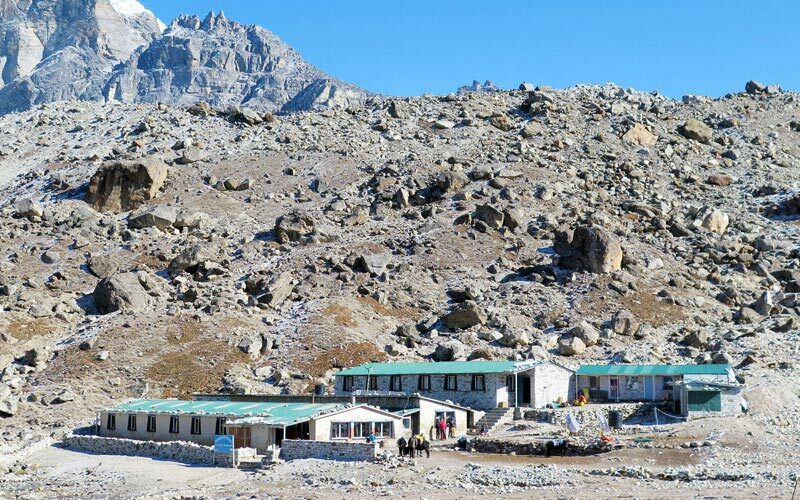 Accommodation in the Himalaya usually does not provide the kind of warmth and comfort one would desire after a long day of trekking. 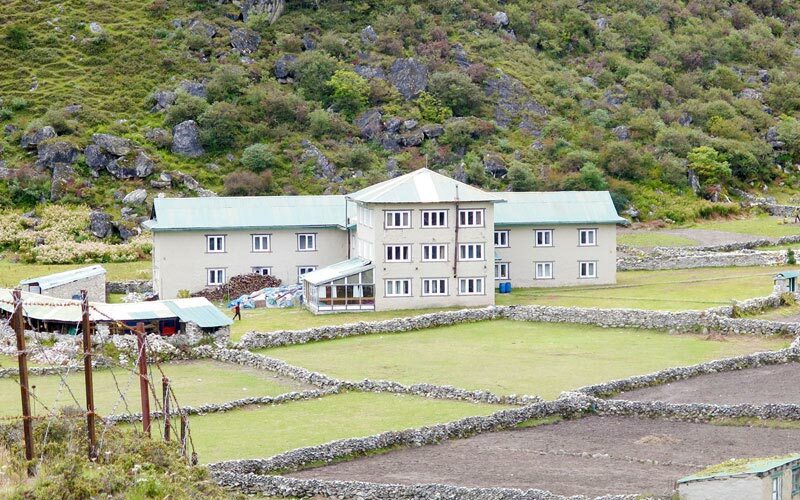 Himalayan Chain resort has introduced along the trail to Mount Everest, a new concept in rural Nepal to provide warm comfortable homely accommodations. 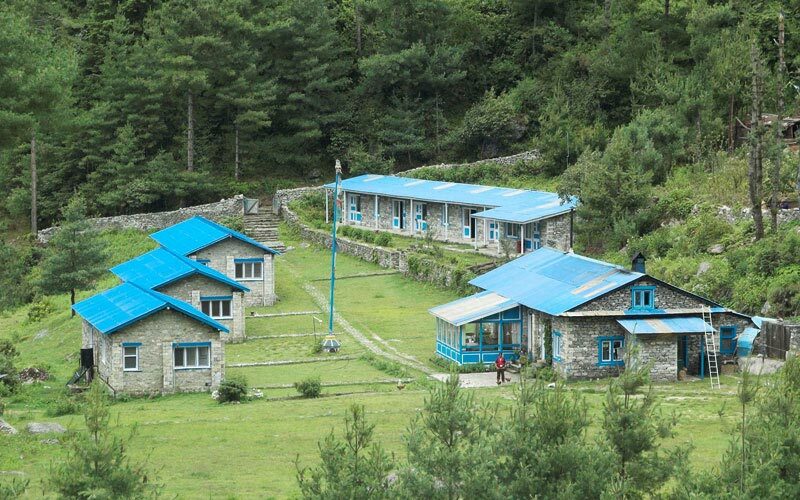 Our four lodges are located within Sagarmatha National Park and are built combining traditional architecture with modern sustainable technologies. Each lodge runs on renewable energy, from Solar Panels or the local village micro hydropower plant. Our lodges also emply the use of Parabolic solar cookers to reduce our reliance on fossil fuels. At the extreme altitudes of Gokyo and Lobuche, where plants take an enormous time to grow, we use dried yak-dung instead of wood to fire our stoves. Lobuche, at an altitude of 4910m, is one of the highest settlements on earth and only a few hours away from Everest Base Camp. Our modern lodge has comfortalbe rooms, an excellent kitchen, warm social dining room and indoor showers & toilets. 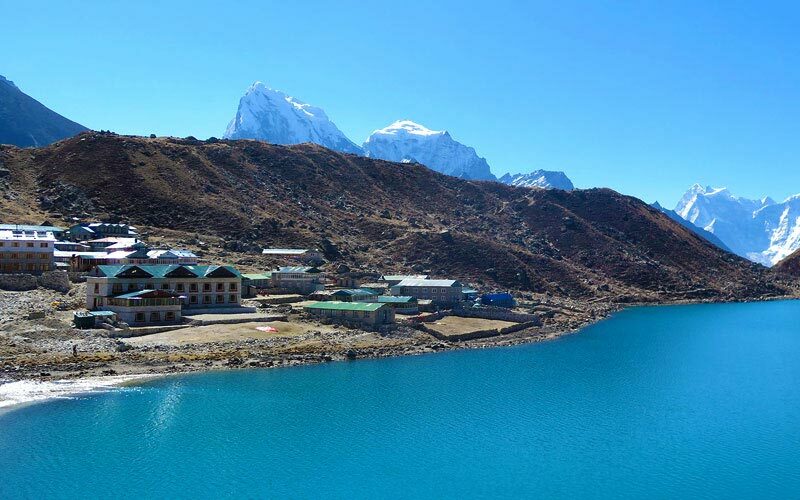 Gokyo is located to the west of the Ngozumpa glacier, reputed to be the largest in the whole Himalayas. Our tibetan style lodge sits directly on the lake front, rated by most travel magazines and media as one of the most beautiful places on earth.